Got a better caption? Add it to “Comments” under any photo. 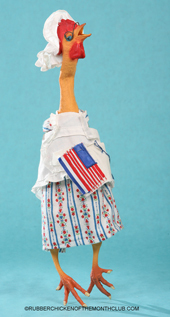 Here's the page for all the cool Rubber Chickens who don't fit in anywhere else. 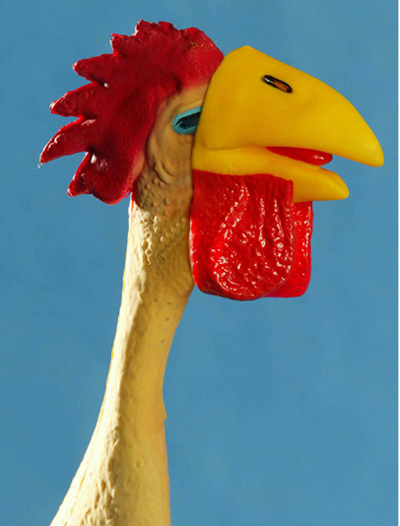 Smart creative types (and devout Barbie doll enthusiasts) often sense the ability of rubber chickens, when properly attired, to convey messages of wisdom, prosperity, love and good humor. This is the spot to post those photos, too. 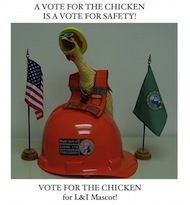 NOTE: As a leader in this field, I have found that piling a bunch of rubber chickens, odds and ends from Value Village and Goodwill, and a glue gun or two on a table and surrounding said table with a collection of properly liquored-up friends is a recipe for creativity, humor, and the successful expression of difficult concepts. 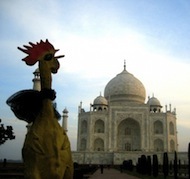 Send us a photo of your chicken! I don’t know why, they just do. Perhaps it’s their flexibility. They don’t care if you dress them up or bang them on a table to vent frustration. If you’re happy, they’re happy. If you’re not happy, they’re happy to do whatever it takes to make you happy again. If you don’t have one, get one. It will make you a better person. 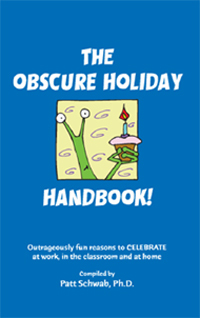 Outrageously fun reasons to CELEBRATE at work, at home, anywhere! Hundreds of clever, inventive, memorable, and downright silly, excuses for business promotions, office celebrations, senior center get-togethers, special events or just plain fun with family and friends. 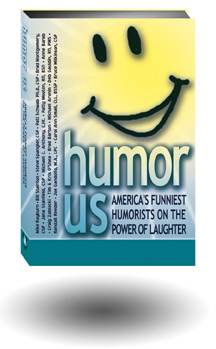 Wisdom, advice and cool ideas on creativity, marriage, business, and more from 19 of the funniest humorists and motivational speakers around. Site designed by Prodigify, LLC.